This entry was posted on April 10, 2017 by Nick. Hamper.com’s range of baby hampers are perfect for celebrating a new arrival. We have a collection of gift hampers for babies and new mums that are filled with delicious treats and unique gifts. Whether it’s socks and clothes for the new baby, or an alcoholic treat for the well-deserving parents, Hamper.com has the perfect gift! Discover the full selection of gifts for babies available at Hamper.com today and take advantage of free next day delivery in the UK. The It’s a Boy Gift Basket is beautifully presented and filled with wonderful gifts for a baby boy. Pyjamas, socks, a bib, muslins and toys all feature in this gift, perfect for helping parents with their new child. 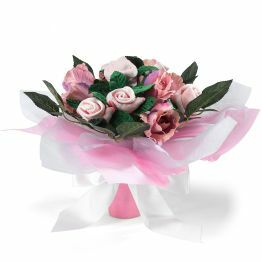 This gift hamper is a wonderful gift for a baby girl and her parents. Featuring a bib, socks, cream, lotion and Bertie Bear, this gift hamper is filled with useful gifts that the parents will appreciate. The Bertie Bear Welcome Baby Girl Hamper is carefully hand-packed and beautifully presented. Featuring everything a new parent could need, the Congratulations Baby Gift Box is packed with fantastic goodies. A sleepsuit, bodysuit, mittens, bib, teething ring and much more are all available in this beautifully presented gift box. New parents will have plenty to be worrying about with a new child so the Bearing Gifts hamper is perfect for a treat when they have a spare moment. 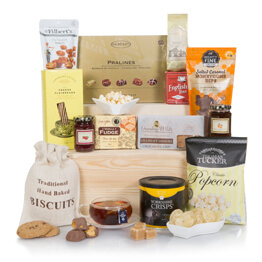 Filled with delicious goodies including pralines, crisps and cookies, they’ll love our most popular hamper! She’s certainly earnt a little treat and the Prosecco & Chocs For Her is perfect! 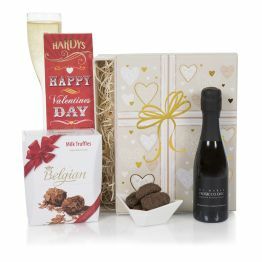 She can relax with a bottle of Di Maria Prosecco and indulge in Belgian chocolate truffles. A new arrival is a time to celebrate and there’s no better way of doing that with Champagne! 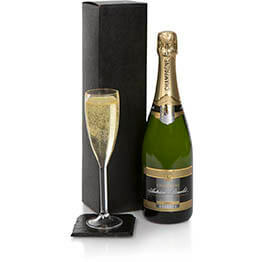 Hamper.com’s Bottle of Champagne Gift features Autreau Roualet Bruv NV Champagne, perfect for toasting the new baby! For more information on our range of gifts for babies, then please get in touch with our team today. Contact us online or speak to a Hamper.com specialist by calling us on 01235 833732, we are happy to answer any questions you may have about our range of next day hampers.